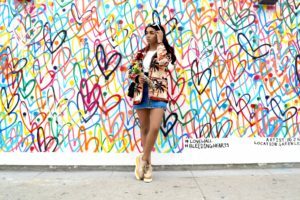 When people think of famous walls in Los Angeles, they usually think of the pink wall or the angel wings located on Melrose Avenue. 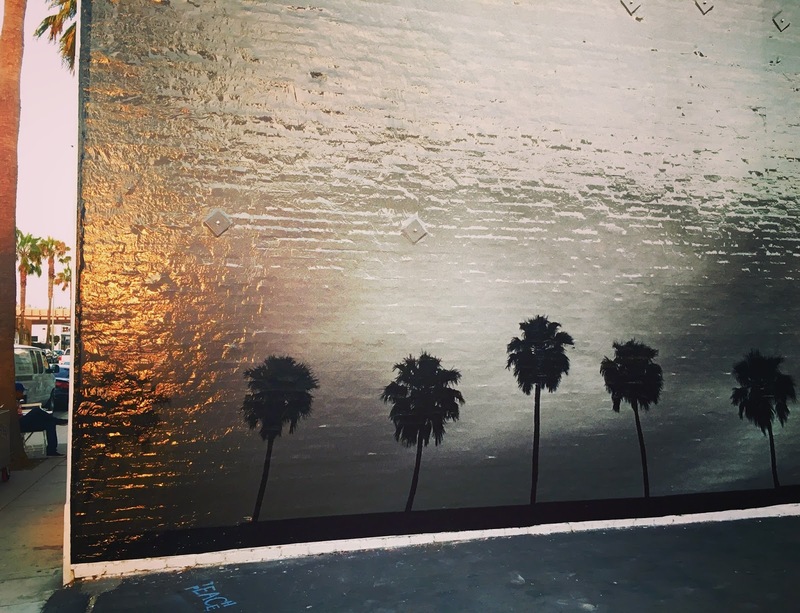 However, there is another location for artsy walls to use as backdrops for your Instagram posts. Abbot Kinney is a famous street in Venice, California. It is known for the amazing restaurants, shops, and artwork. For instance, Intelligentsia Coffee is a great spot for drinking some of the best coffee in the world. Or LF is the perfect shopping spot for incredibly cute (but also expensive) clothing. 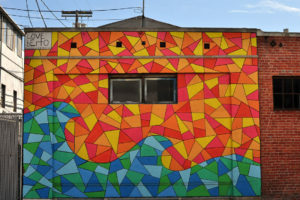 Abbot Kinney’s secret gem though is the artwork painted on the walls of its buildings. But in between all of these great shops is the artwork! 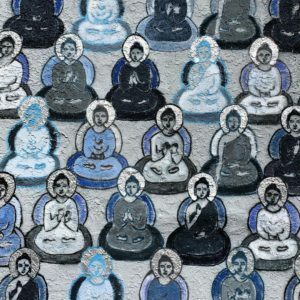 As you walk along the street admiring, you’ll come across several murals that are all as unique as they come. One of the most popular murals is The Love Wall. On the Love Wall you can see a display of colorful hearts covering a white wall. 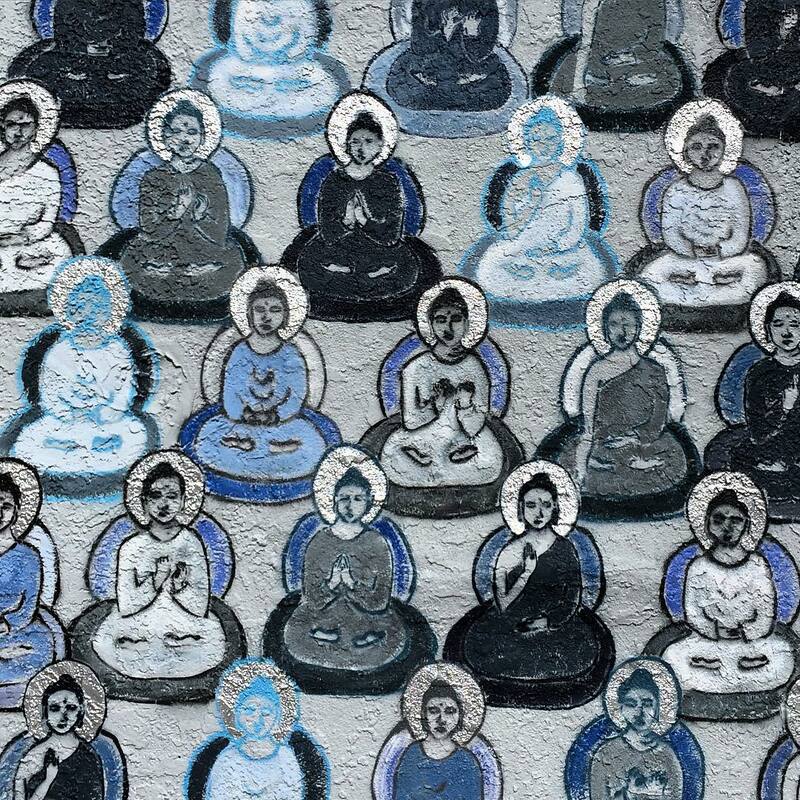 Another, just a little ways down the street, is a section of a wall covered with Buddhas in differing shades of blue. 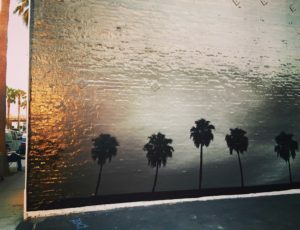 Across the street, a black and white horizontal mural of palm trees is painted next to a portrait of an old man. One of the more colorful pieces is a geometric mural. It is a combination of red, orange, yellow, blue and green sections pieced together. Some murals also feature animals. One has a leopard with antlers and another is a column of rabbits. As you head towards the beach, you can see a ocean front building covered in huge, beautiful flowers of all different colors. With all this artwork, it’s making me want to go take an Instagram pic! Venice, California, is known for being a unique neighborhood that has a wide variety of things to offer. If you’re in Los Angeles looking for great art, food, or shops, walk down Abbot Kinney and experience all three.